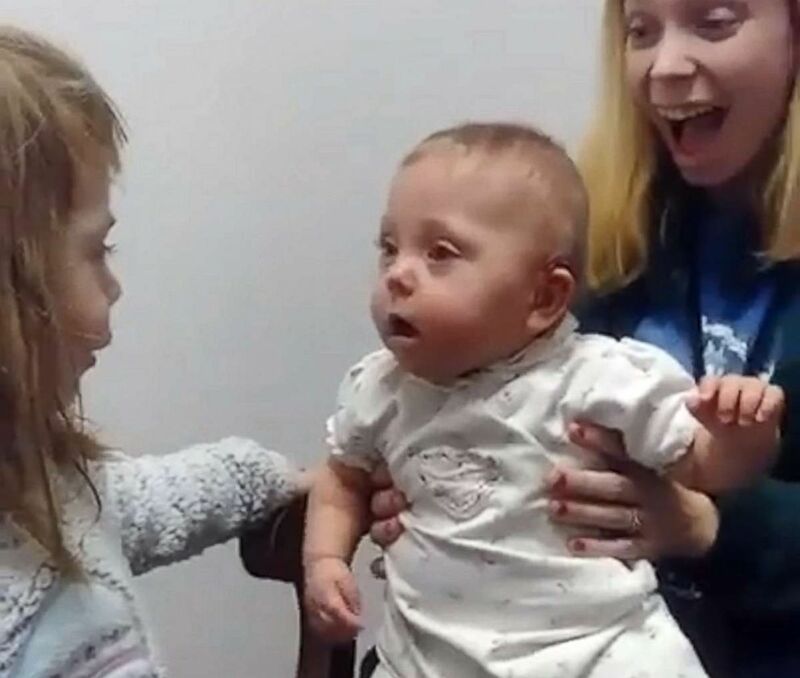 A baby girl's reaction to hearing her sister's voice for the first time is the best thing you'll see today. Scarlet Benjamin, 11 months, had a hearing aid fitting at Atlanta Hearing Associates in Milledgeville, Georgia, on Jan. 10. 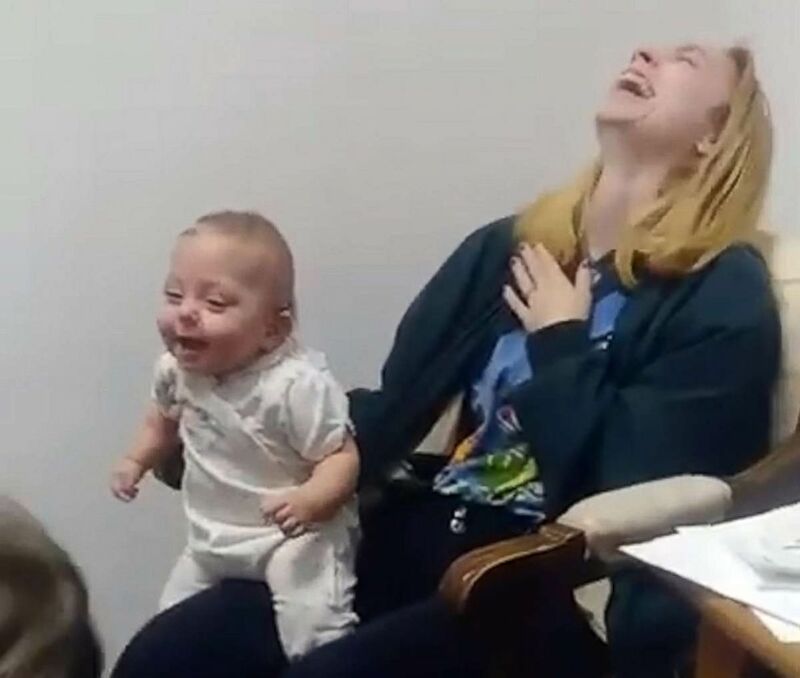 It was her impromptu laughter that brought her mother to tears as her big sister Halie called out to her. 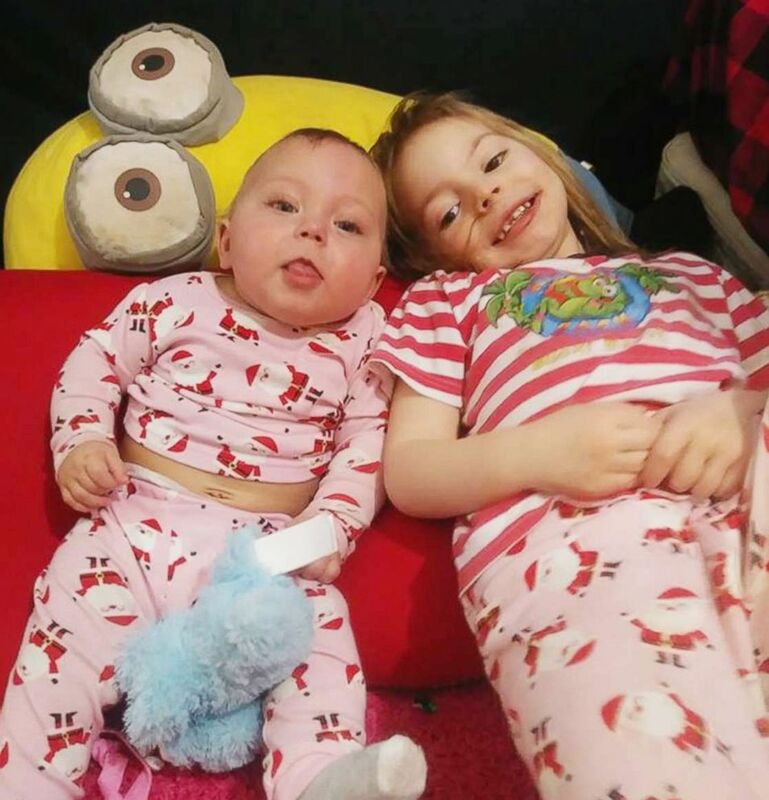 (Courtesy Carol Benjamin) Scarlet Benjamin, 11 months, is seen in an undated family photo with her sister, Halie, 4. Harper Yeats just crosses the border of Vermont. "He just brings our spirits up," mom Leni Lutuitold "GMA." "I was recording on Snapchat ... and he just did it," mom said. "It was amazing," mom Carol Benjamin of Madison, Georgia, told "Good Morning America." "She screamed really loud and [later] scared herself. It was really cute." (Carol Benjamin via Storyful) Scarlet Benjamin, 11 months, reacts to hearing the sound of her sister's voice with the assistance of hearing aids at Atlanta Hearing Associates in Milledgeville, Ga. in January 2019. Benjamin said that Scarlet was born three months early and developed an intestinal disease called necrotizing enterocolitis (NEC). An antibiotic treatment had impaired Scarlet's hearing, according to Benjamin. 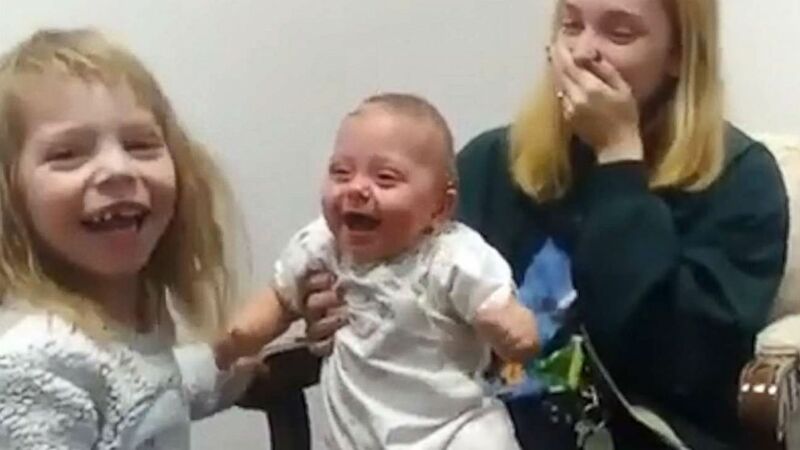 (Carol Benjamin via Storyful) Carol Benjamin laughs in a video that she shared of her daughter Scarlet, 11 months, hearing for the first time on Facebook, where it garnered 188,000 views. Since Scarlet received her hearing aids, she's been joyfully absorbing the sounds around her. "We took her outside and she was listening to all the animals and was freaking out," Benjamin said. "I shut the car door and she looked at me like, 'Mom did you hear that?'"